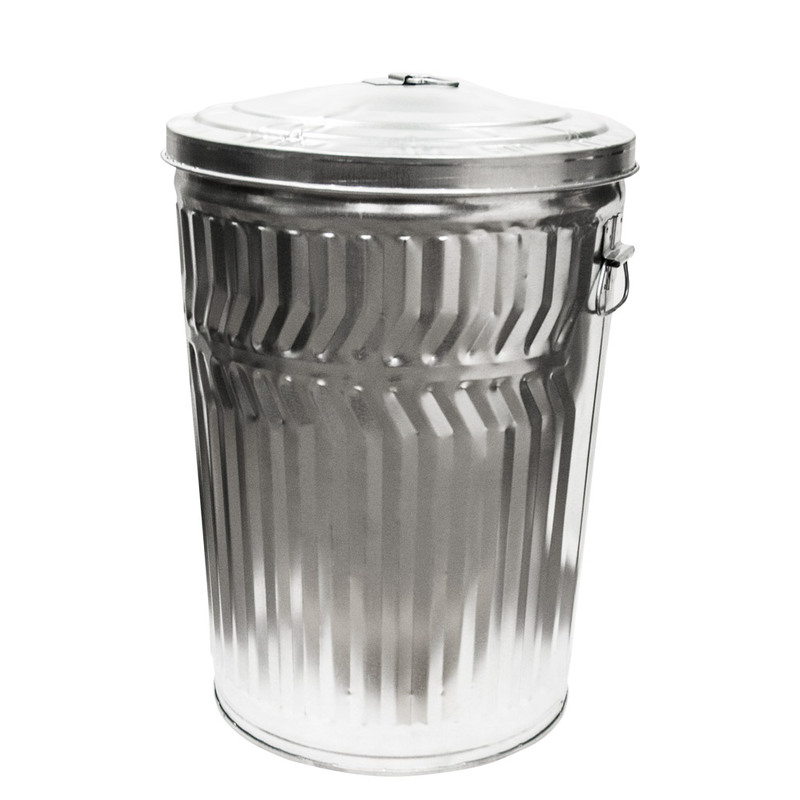 20 Gallon Galvanized Steel Trash Can & Lid | U.S. Plastic Corp. 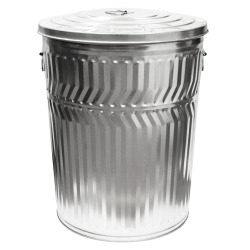 The galvanized steel can is manufactured from prime galvanized steel and features deep side corrugations for superior strength and durability. The can features heavy duty dual dropside handles. The heavy gauge steel handle brackets are designed to limit the upward swing of the handle so that the hands are not pinched against the side of the can while lifting. The top can edge contains an 8 gauge reinforcement wire for strength. The bottom of the can is recessed in order to aid in the pouring of the contents and limits floor contact. 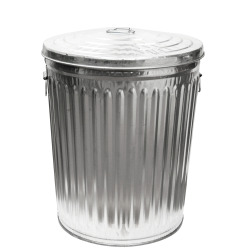 The bottom is domed to prevent sagging when loaded with material. The tapered design allows nesting for convenient shipping of the product. The cover is deep drawn and is ribbed for added strength and durability. The cover fits snuggly over the can. Both the cover handle bracket and the can handle brackets are securely fastened to the unit utilizing a strong Tog-L-Loc® interlocking joint fastening system.